Thursday, Feb 28 - Cascade Avenue Neighborhood Organization - 7pm, Fire Station 14 (1203 Lee St.). Wednesday, Feb 27 - BeltLine Network: March Meeting - 5pm, Metropolitan Library (1332 Metropolitan Pkwy). Discussion on equity and economic development for the Southside. Wednesday, Feb 27 - "Designing Our Futures" Alliance Meeting - 5:30pm, Center for Civic Innovation (115 M.L.K. Jr Dr). Hosted by "Close the Jail ATL Campaign" . Free, register at https://actionnetwork.org/forms/register-to-attend-the-alliance-member-meeting. Wednesday, Feb 27 - MILRA Community Engagement Subcommittee Meeting - 5:30pm, Ft.McPherson, LRA Office (1794 Walker Avenue). If you have any local events that you'd like to see on the NPU-S calendar, please send email to events@npu-s.com. Please be sure to include the date, time, and location of your event! The City of Atlanta is holding its second - and final - round of public engagement sessions about the "Rebaselining" effort. For our section of town, the second session will be held on Wednesday, February 27 at 7pm, at the CT Martin Recreation Center (3201 M.L.K. Jr. Dr. SW, Atlanta, GA 30331). This is our opportunity to let the City and our elected officials know our thoughts and feelings about what happened with the original TSPLOST projects and where to go moving forward. For additional background information on the previous round of talks, various scenarios for the future, and so forth, go to https://renewatlantabond.com/Prioritization/. Art on the Atlanta BeltLine is seeking qualified applicants to serve on the BeltLine Public Art Advisory Council (BPAAC). This is a volunteer position with a service term of two years. BPAAC members will meet quarterly (4 meetings a year) to review the Art on the Atlanta BeltLine exhibition’s jury selected artists, external exhibition proposals, creative partnerships and to provide advice and recommendations to the Arts & Culture Department. Applicants must live in one of the BeltLine’s 45 neighborhoods and demonstrate a strong arts and culture background. BPAAC members may not hold any political office while serving on the Council. Art on the Atlanta BeltLine is seeking qualified applicants to serve on the Art on the Atlanta BeltLine (AoAB) 2019 Exhibition Jury. Jury members will be paid $100.00 per day for their expert services. Applicants must live in Atlanta, and demonstrate a strong arts and culture background or work in an arts adjacent field. Jury members may not hold any political office while serving. 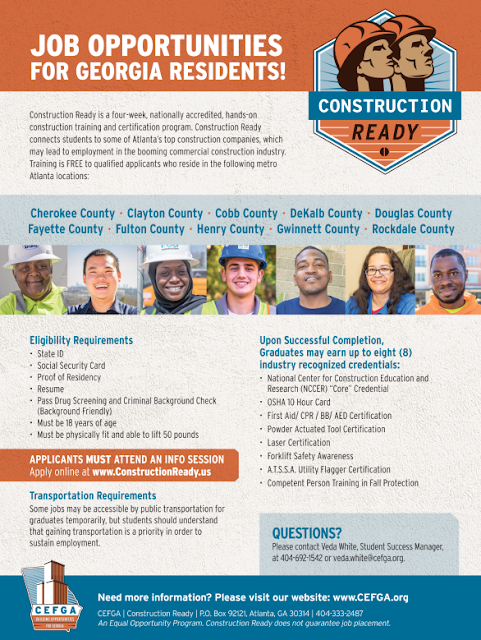 Please submit a cover letter and resume to: mkyle@atlbeltline.org by March 1, 2019 to be considered. • To create interest in beautifying the home and the community. • Assisting with the “Plant it Pink Project”, other local, and national projects. Gardening is one the most beneficial activities you can be involved with. Whether you have a green thumb or not, come and learn. 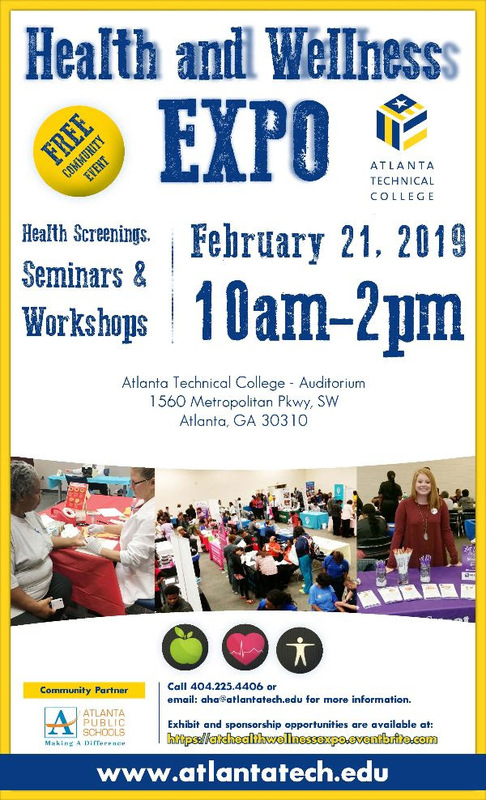 For more information contact Sarah Ridgeway at 404-281-2472. AARP Foundation Tax-Aide offers free, individualized tax preparation for low-to moderate-income taxpayers - especially those 50 and older - at nearly 5,000 locations nationwide. Tuesday, Feb 19 - Beecher-Donnelly Community Association -7pm, West End Family Life & Community Center (1191 Donnelly Ave SW). Covers the area between Oakland Drive and Cascade, from Richland to Donnelly. Thursday, Feb 21 - NPU-S General Meeting - 7pm, VICARS (838 Cascade Ave). 3 special presentations, 3 voting items - agenda at http://bit.ly/NPUSAgendaFeb2019. Sunday, Feb 24 - Lecture and Book Signing: "Bound in Wedlock: Slavery and Free Black Marriage in the Nineteenth Century" - 3pm, Auburn Avenue Research Library, (101 Auburn Ave). Free registration at https://thebatonfoundation.org/events/bound-in-wedlock/. Do you own the home that you live in? Did you know you could easily save a lot of money on your property taxes, even if you are away from your home for health reasons? One of the easiest ways is the homestead exemption — which permanently decreases property taxes for resident homeowners. File for homestead exemption and these savings are yours for as long as you own your home. Atlanta BeltLine Partnership, the Atlanta Legal Aid Society, Atlanta City Council Members Joyce Sheperd and Carla Smith, and the Grove Park Foundation have partnered to put together a series of four free, 2-hour workshops to show property owners how to apply for and take advantage of the homestead exemption. To register, go to https://www.eventbrite.com/o/atlanta-beltline-partnership-2102055101. 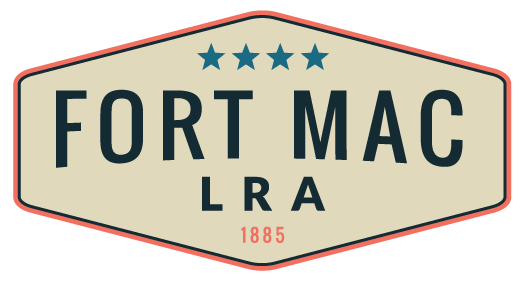 With the support of $410,000 grant funding from Invest Atlanta, Fort Mac LRA has entered into a public-private partnership with A2D to build an Open Access Fiber-to-the-Premise Network. The all-fiber-optic network, called “eCommunity Fort Mac” will enable multiple service providers to deliver enhanced broadband services at gigabit speeds to all Fort Mac facilities. The small, shareable transportation devices popping up around town such as electric scooters or bikes provide an exciting new option for people to move around. 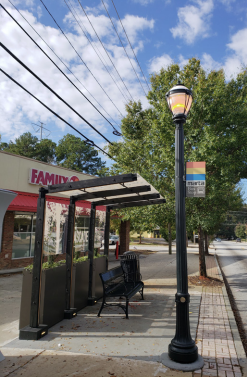 The Office of Mobility Planning recently created rules that allow these new devices to expand mobility options for Atlanta residents and visitors while also protecting public health and safety. Construction Ready at Westside Works is a four-week, boot camp-style training program that helps place you into a full-time, living wage career with construction companies throughout metro Atlanta. The program's graduation and placement rates consistently exceed 95%. The retention rate at 90 days is 89% and retention rate at one year is 70%. Tuesday, Feb 12 - Graymont Drive Neighborhood Organization - 6:30pm, St. Peter's Missionary Baptist Church (1558 Venetian Drive). Monthly meeting of GDNA, which operates over Graymont, Elizabeth, Lockwood, and Westmont. 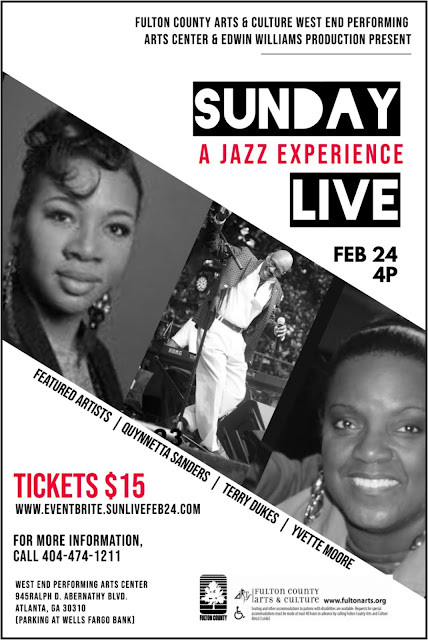 Contact DionneMoore2015@gmail.com for more information. Saturday, Feb 16 - Westridge/Sandtown Venetian Hills Neighborhood Organization - 10am, 640 West Community Cafe (640 Evans St). Monthly meeting of WSCO, which operates over the entirety of Venetian Hills. Contact VenetianHillsPresident@gmail.com for more information. Families are invited to enjoy an interactive day at Children's Museum of Atlanta free of charge. The Museam will offer extended hours and free admission to families four times a year. 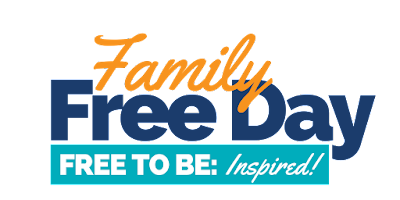 In addition to exploring the Museum's featured exhibit, Family Free Day will also include a festival-like atmosphere celebrating innovation and creativity. This is a registration event! Registration opens at 7 AM on Tuesday, February 12. Guidelines: Participants must be high school students that live in Fulton County. Unsung Hero should be a person who has made a significant contribution to black progress and American history in the following areas: Science, Law, or Education. Essays must be 1500 words and typed - Arial 12 pt font, double spaced, PDF format. No pictures of graphics. Films should be no more than 10 minutes. Content can include biographic sketch, spoken word, theatrical performance. Films should be submitted through YouTube URL or link. All entries should include your legal first and last name, home address, date of birth, and your high school. Essays and films are due by Friday, February 15, 2019. The winners will be announced and awarded monies at the 2019 Black History Film Festival Opening Reception, on Friday, February 22, 2019, at Wolf Creek Library. We will screen the documentary Maynard. The Department of City Planning has officially opened the application for the 2019 City of Atlanta Placemaking Program. Launched in 2017, this program transforms under-used street space and City-owned property into active, vibrant and safer public places. If you've noticed the nice bus shelter in the Cascade Heights business district, that's a result of the Placemaking program. Tuesday February 12th, 6:30PM-8:30PM, Rosel Fann Recreation Center. Tuesday February 26th, Midtown Location, Time and Address TBD. What you can do about holding our leaders accountable for more equitable outcomes for communities that need it most. Many people in our community rely on transit every day; if you're concerned with making sure that it serves our interests, come on out! NPU-S has called a committee to review and update the organization's bylaws. The first meeting of this committee will be Tuesday, February 5, from 7pm to 8pm, at the 640 West coffeehouse (640 Evans St). The meeting is open to the public. The current bylaws are available at https://drive.google.com/open?id=1v_zooN3hrGBuzyxDvWIrrtvyU6NnrXqu. First meeting of a new committee to review and update the NPU-S bylaws. Feb 4 - Beltline Subarea 2 Master Plan Update - 6:30pm, Focused Community Strategies (1297 McDonough Blvd). Presenting the findings from the open house on December 1st and receive your feedback on the draft recommendations for land use, mobility, parks, and greenspace. Subarea 2 is the section of the Beltline running from Hill Street to Lee Street. 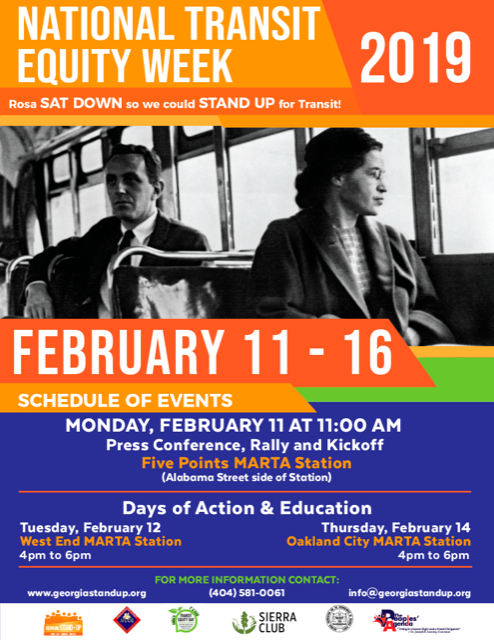 Feb 6 - NPU-R Meeting - 7pm, Andrew & Walter Young Family YMCA (2220 Campbellton Rd). Interested in an exciting career with over 1,000 exotic animals? Bring your resumé to to Zoo Atlanta's job fair for seasonal positions. The Job Fair will be held in the Conservation ARC. Enter through the Education Conservation Gate off the Cherokee Avenue parking lot. 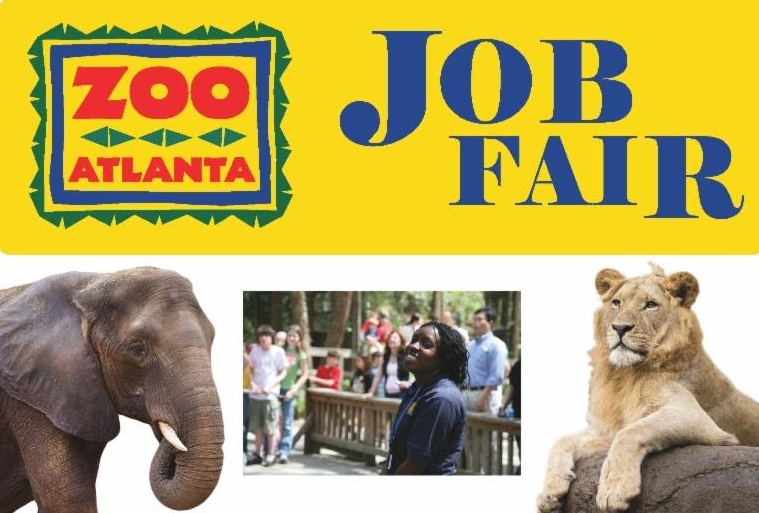 If you are: energetic, enthusiastic, friendly, reliable, dependable, outgoing and have a positive attitude, check out zooatlanta.org/careers for more information!